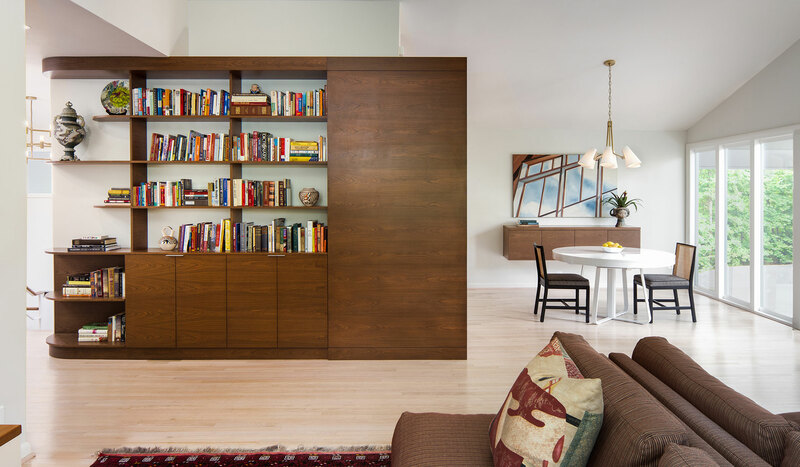 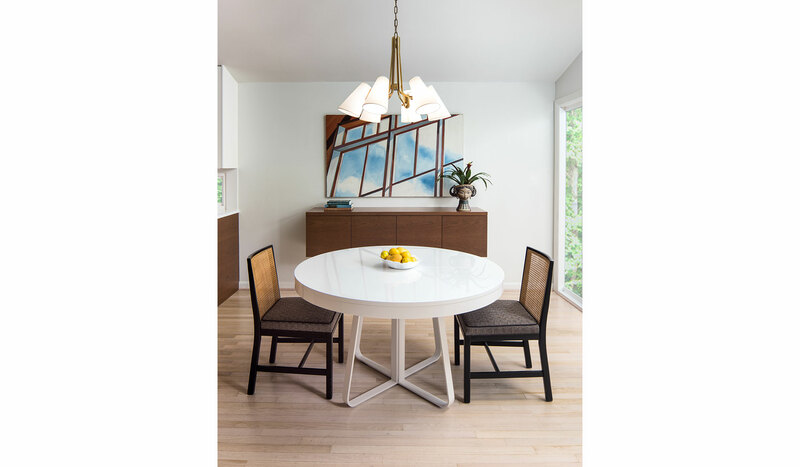 Untouched since it was built in the 1950s, new owners engaged Nahra Design Group to give this classic midcentury dwelling a modern update, while being sensitive to the architectural vernacular. 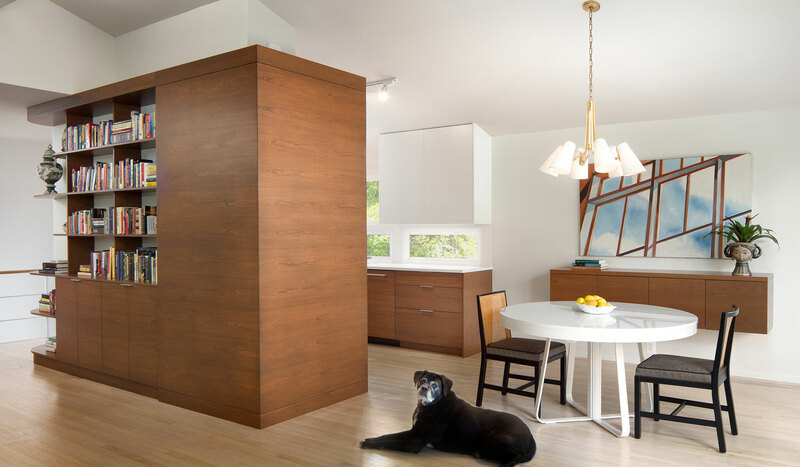 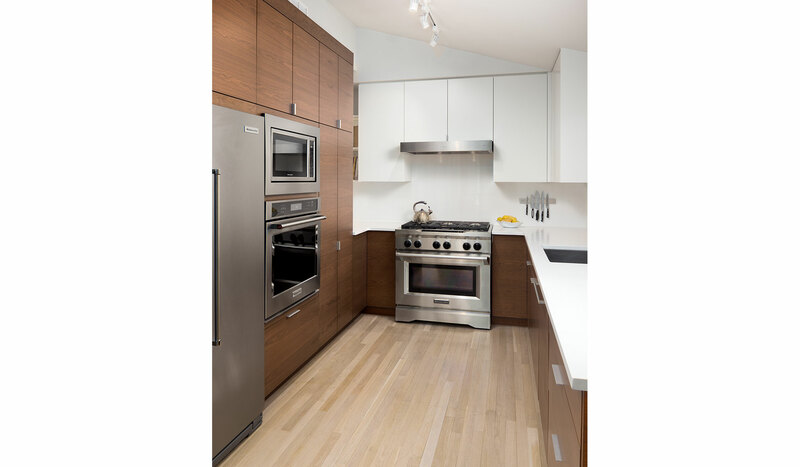 The kitchen was conceived as a functional piece of furniture with equipment consolidated into a multifunctional service wall. 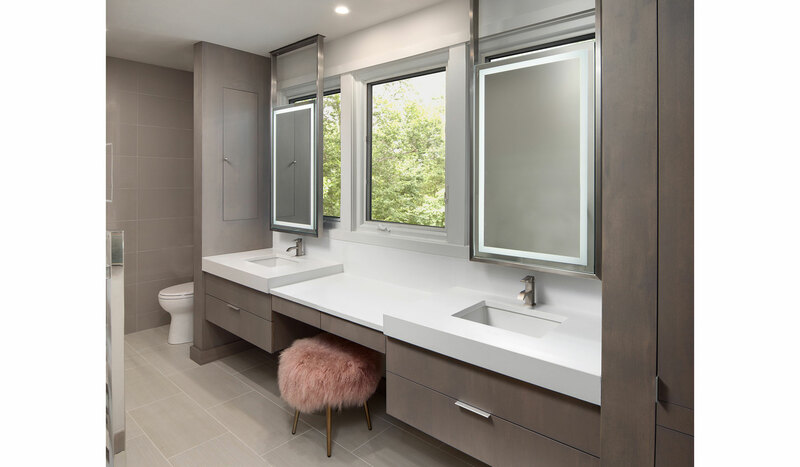 Two small bedrooms and outdated bathrooms on the main level were combined to create a master suite with a walk-in closet and a luxurious master bath featuring custom suspended, naturally backlit mirrors.